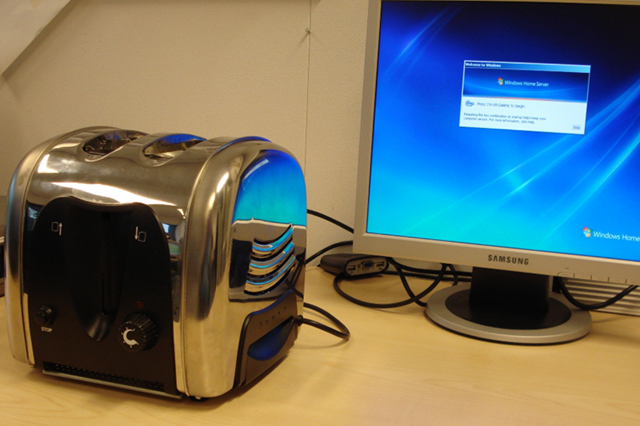 No it’s not a toaster (although it is). It’s a 55w Windows Home Server. Edgar Voorbraak built this with a 1.5GHz Via C7 CPU with 1GB of RAM and Edgar has even managed to cram in 4 hard drives. 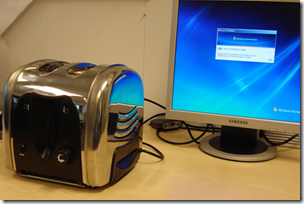 What is great is that the toast time knob controls the fan speed and the emergency stop button is used as power button. What can I say? Amazing! Check out the full article at Home Server Hacks.